yet we don’t know what it is. See, your king comes to you, gentle and riding on a donkey, on a colt, the foal of a donkey. 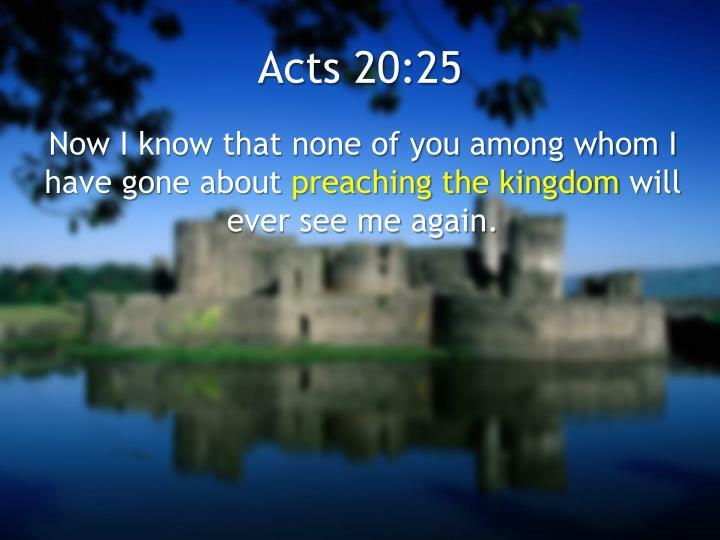 Now I know that none of you among whom I have gone about preaching the kingdom will ever see me again. From morning till evening he explained and declared to them the kingdom of God and tried to convince them about Jesus from the Law of Moses and from the Prophets. Iwarn you, as I did before, that those who live like this will not inherit the kingdom of God. For of this you can be sure: No immoral, impure or greedy person — such a man is an idolater — has any inheritance in the kingdom of Christ and of God. For if you do these things, you will never fall, and you will receive a rich welcome into the eternal kingdom of our Lord and Savior Jesus Christ. 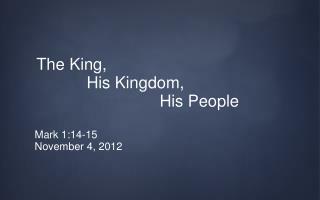 Who is this King of glory? The Lordstrong and mighty, the Lord mighty in battle. Don’t like king's decree?Too bad! A kingdom is a realm ruled by a king. Once, having been asked by the Pharisees when the kingdom of God would come, Jesus replied, “The kingdom of God does not come with your careful observation, nor will people say, ‘Here it is,’ or ‘There it is,’ because the kingdom of God is within you. 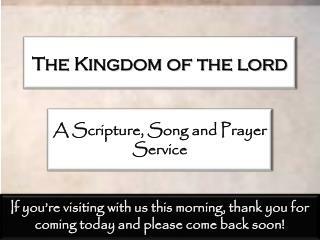 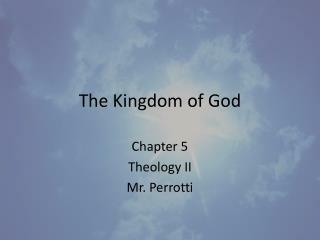 Entering the Kingdom of God -. 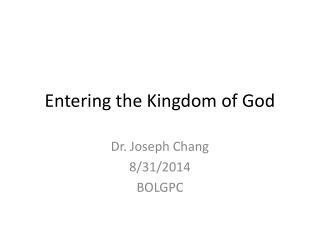 dr. joseph chang 8/31/2014 bolgpc. 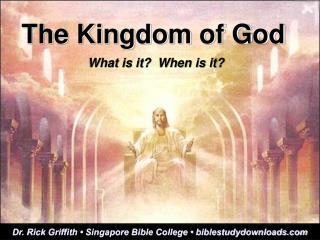 神的國度 = 上帝的國度 = 天國 kingdom of god = kingdom of heaven. 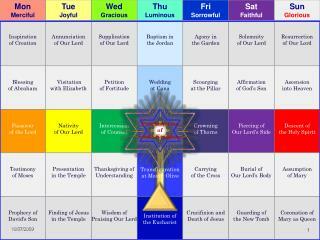 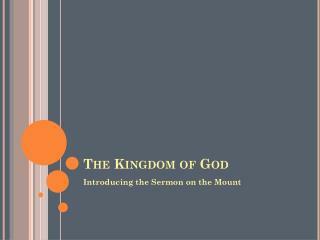 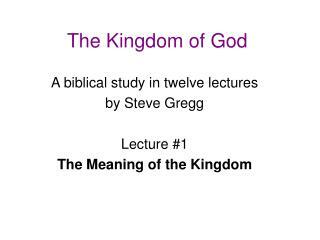 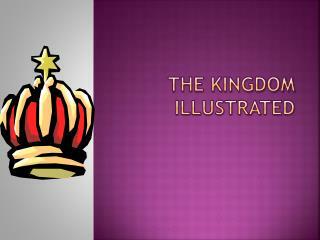 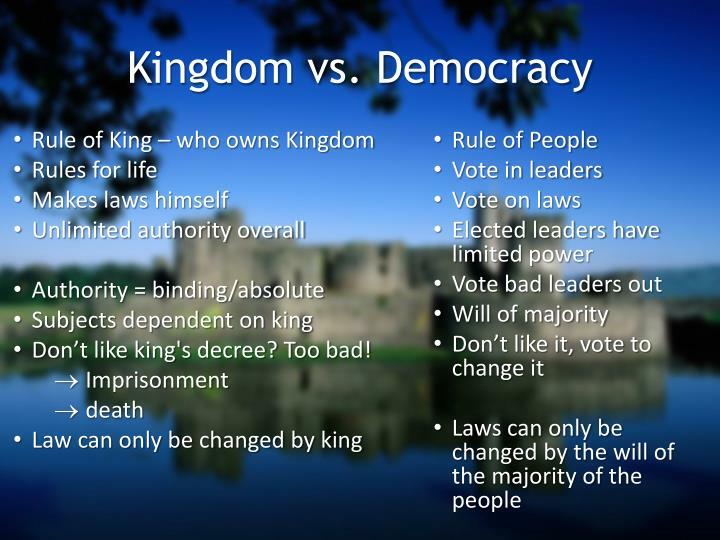 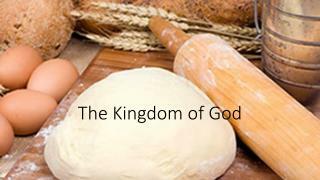 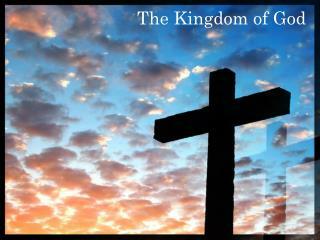 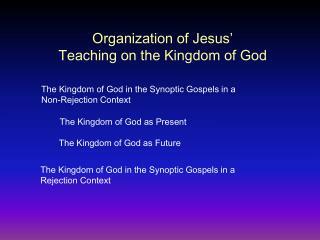 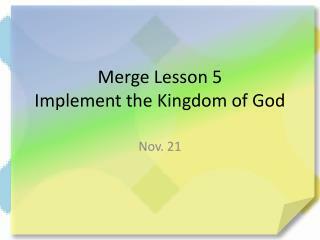 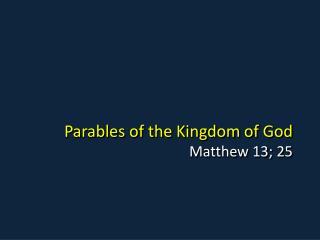 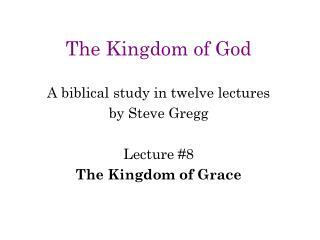 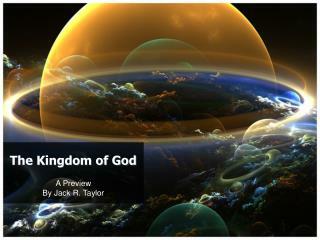 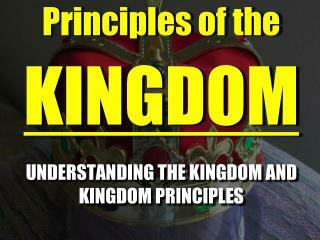 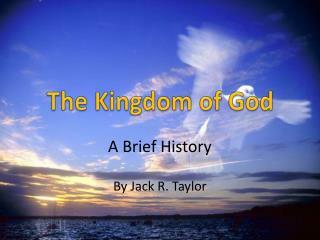 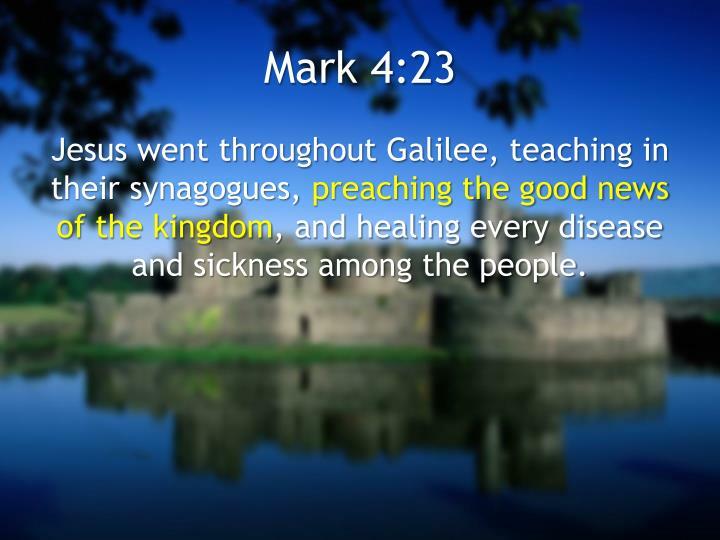 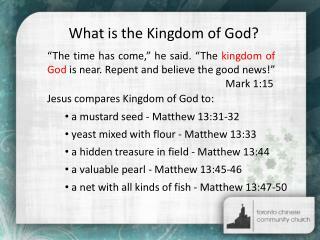 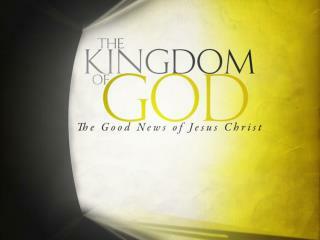 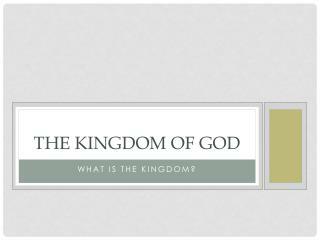 kingdom of god=kingdom of heaven. 15 &quot;the time has come,&quot; he said.